Videos can be added to your Courses using the Video Template. 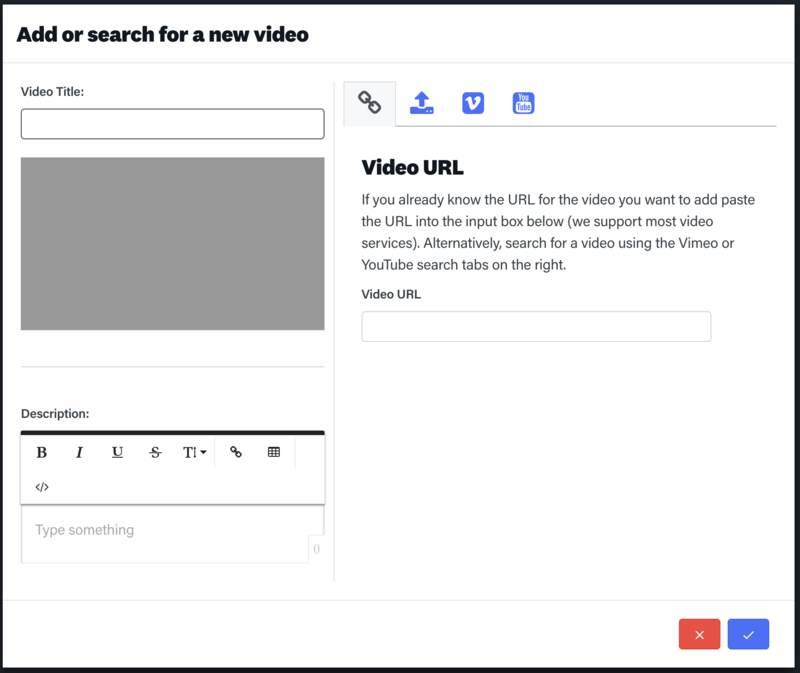 From the Video Template, you can upload videos from your desktop or add videos from Youtube or Vimeo, with the option of searching both sites from within your template editor. 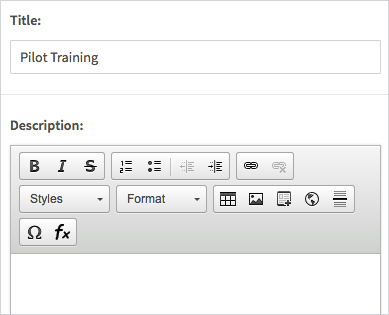 Step 1: Select the Video Template from the Text, Images & Video Templates panel. 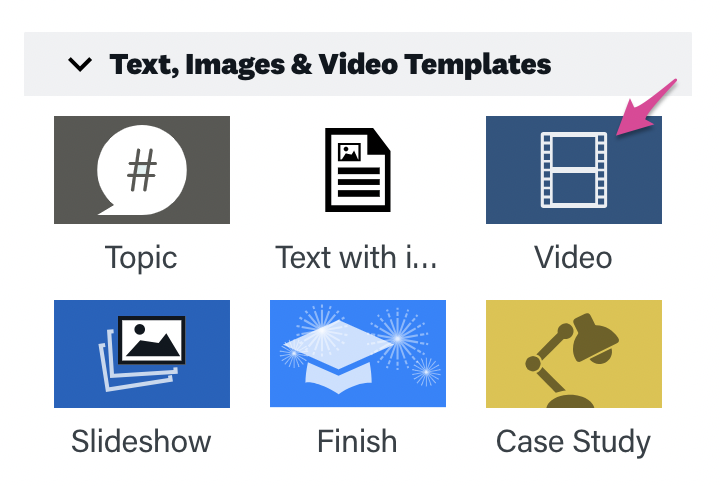 Step 2: Drag your Video Template into the Lesson Pathway. Step 3: Give your new screen a title. Step 4: Click the Edit button. Step 5: From the edit screen, you can give your tile a description and change its title. Step 6: To add your video, click the Add New Video button. From this screen, you can add videos in 4 different ways. 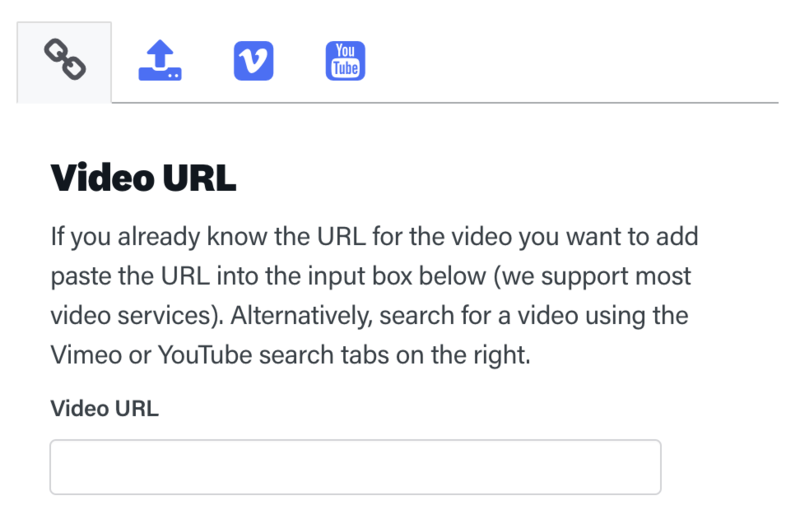 Method 1: If you already know what video you’d like to upload, simply enter its URL in the Video URL box. Once you’ve entered your video into the Video URL bar, it will appear on the left side of your screen. From here, you can add a title and description for your video. When you’re done adding your title and description, select the green checkmark to finish adding your video. 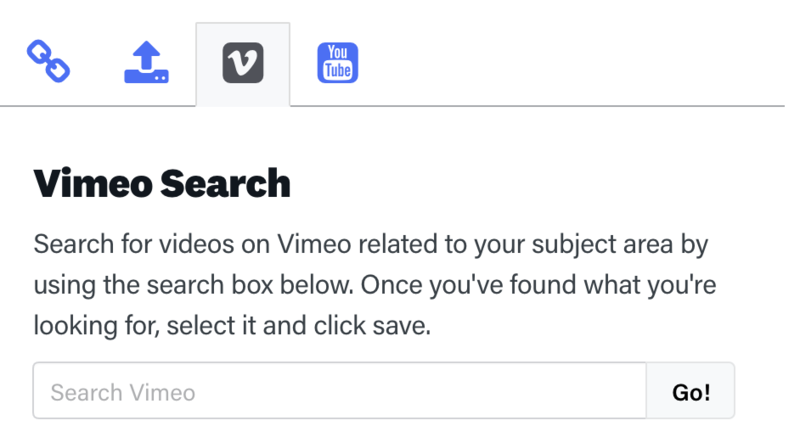 Method 3: The third way to upload videos is by using the Vimeo search function. To do this, first select the Vimeo button on the right of the screen. From here, you can search for a video by entering search text into the available text box and press Go!. From the list of results, click on the thumbnail of the video you’d like to embed and it will appear to the left of screen. From there, simply add your title and description and select the green checkmark as before. 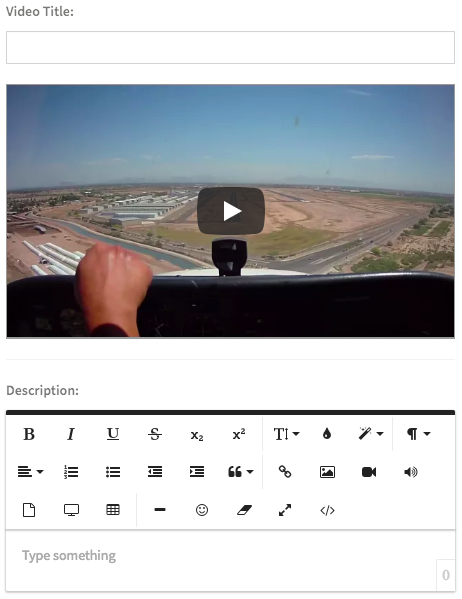 Method 4: Add videos to your Video Template is to use the Youtube search function. 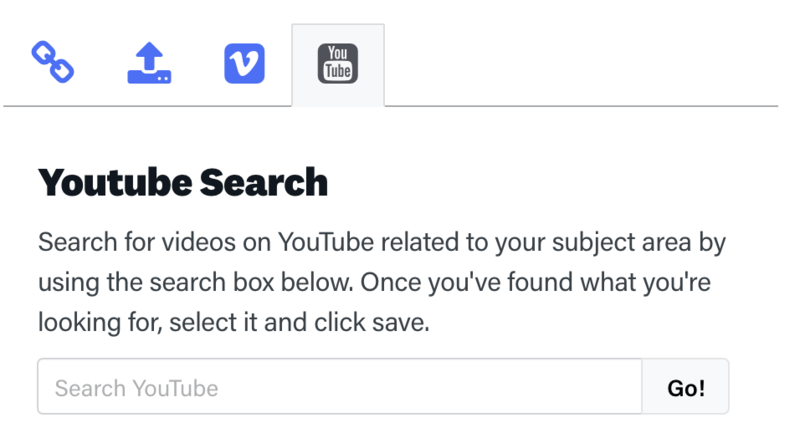 To do this, click on the Youtube button to the right of screen and follow the same method as when searching for videos on Vimeo. Note: You can add multiple videos by repeating the process from Step 6. To preview your Video Template, click on the ‘preview’ button.